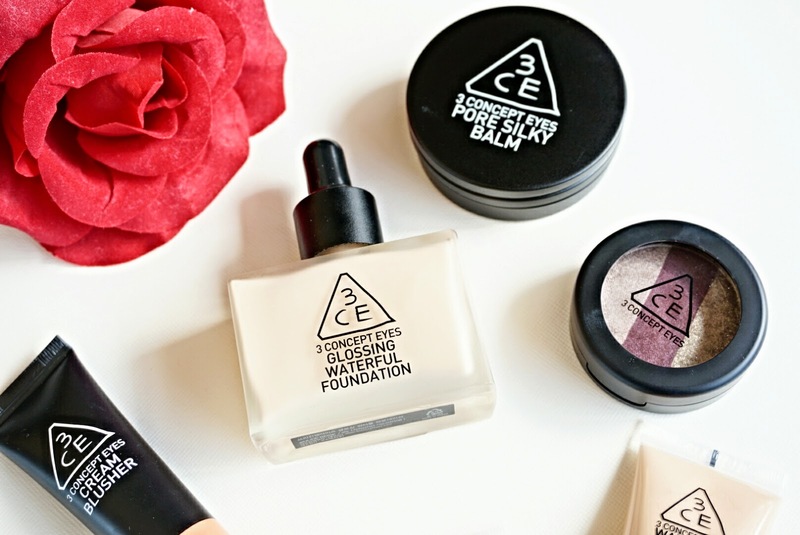 3CE is an amazing korean cosmetic line from the fashion brand StyleNanda. Cream Blusher | Coral - This is a great orange-pink colour! Super smooth and natural. It gives you a great flush to the cheek. You can use this as a lip tinter as well. Pore Silky Balm | Ivory - got big pores? this covers it very well. It literally smoothes out all ridges and covers all pores. Triple Shadow | No No No - the eyeshadow colour looks very tempting. Especially the trio of colours and its versatility. But I have to say it's not too pigmented. The colour is great if you build it up but very loose shadows. If you have tried 3CE before, which is your most recommended product? URGHHH you're tempting me! hahaha the foundation looks really amazing seeing how it made their model's face glow, but i wonder if it'll be too "wet" for singapore? i think their lip pigment is pretty popular! whoops! i didn't sign up for the email notification this time! just came back to your blog and see that you've replied :D i'll try them out NEXT TIME! urghhh!!!! why am i not living in korea!??!?! hahah!